This assignment was part of Instructional Systems Design. It focuses on how to create measurable student learning objectives to allow students to understand the clear expectations of their end product and learning. During Instructional Systems Design, I participated in a discussion comparing different various models of design. Teachers design and manage technology use and student learning strategies in a variety of environments, including hands-on, digital, and virtual environments. During Instructional Systems Design, I participated in a discussion pertaining to technology applications and effective use in supporting learning. During Instructional Systems Design, I participated in a discussion of ADDIE and Backward Design and how I use the methods to design technology instruction for my students. 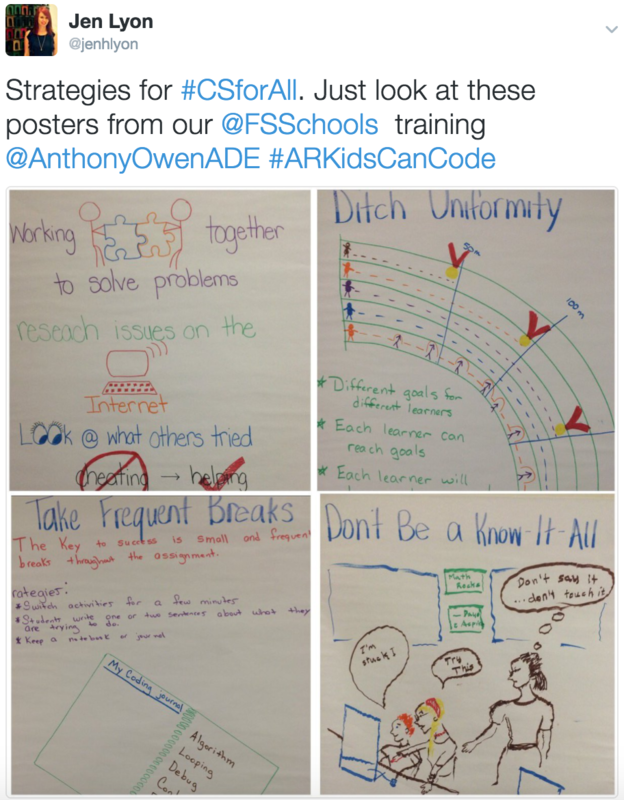 Teachers build learning opportunities that challenge students to use a design process and/or computational thinking to solve problems or innovate solutions. Each year, I sponsor our school's Sphero Teams (third through sixth grade). We work in groups to design obstacle courses and write programs for the Sphero to run through the various mazes. This example is of a third grade group who are working in groups on simple algorithms to control the Sphero making 90 degree turns. I teacher Computer Science in all of my classes kindergarten through sixth grade. 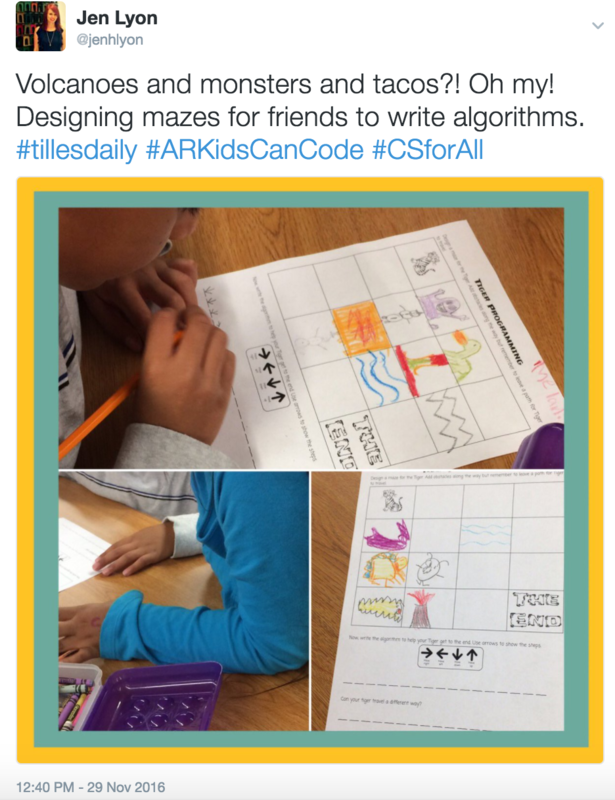 While we focus on computer science fundamentals, computational thinking practices are a few of the happy side effects we develop through our curriculum. Teachers cultivate student expression and knowledge construction in choosing and using digital tools, platforms, and resources to create, communicate, curate, and publish original works. Last year, I had an amazing group of sixth graders who asked to serve as the permanent news team for Tiger Tales, our school's weekly news program. Students assigned themselves segments and wrote, directed, filmed, and edited their own segments. Students had creative control over each of their segments (pending final approval from me). Episodes were published on YouTube. As part of an assignment, students developed an innovative product and designed a promotional video advertising their innovation. Students went on to design a very basic business model where they priced their product and developed a plan to sell it. This video was 100% student produced. Teachers cultivate and employ deliberate, collaborative student groups that are personally responsible for the success of the group as a whole. When I facilitate professional development for teachers, I always include activities that model different learning group sizes. Throughout our time together, participants experience working independently, in pairs, as part of a small group of 4, and as part of a larger group (6-8). I feel like it is important for me to model different teaching strategies so participants can understand how they can best utilize the skills they learn in their own classrooms. Battle of the Books is a collaborative effort for students. Students form teams independently and sign a student agreement. Groups are responsible for deciding how to divide the books (who is going to read each book). Students learn how to share responsibility as a team and the importance of each person's role as a team member.